Home / General / Foundation Gets Physical! Motivating customers to prioritise their physical and mental well-being is an important part of our work across all of the customer groups we support. A sense of well-being is vital to social inclusion, which is a long term necessity for homeless prevention services. 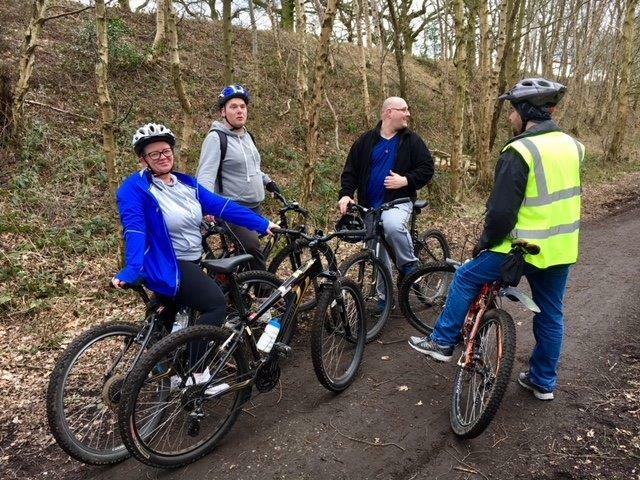 It helps to have role models to aspire to and for our customers as well as getting the opportunities to get fit themselves, some of our colleagues take their own fitness goals very seriously! 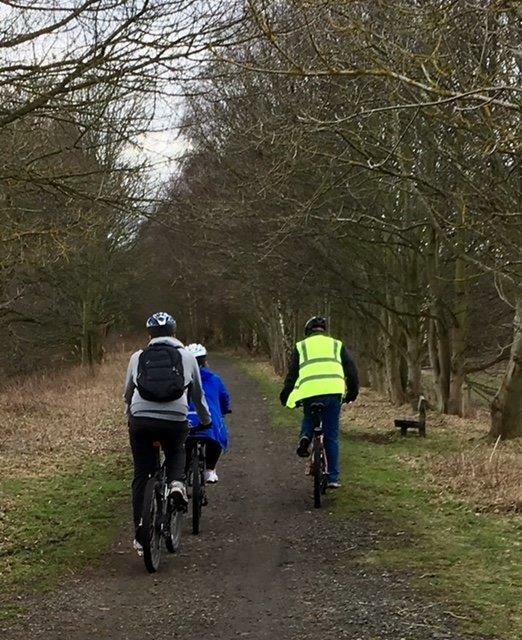 Durham Customer Cycle ride – report from Deb, Support Worker. 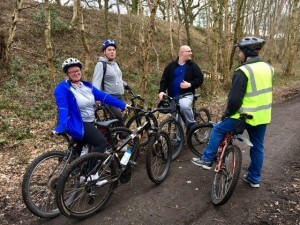 In Durham there is a scheme run by the council called bike4life. It means that bikes can be accessed around the county by trained volunteers who can take people on an organised bike ride. 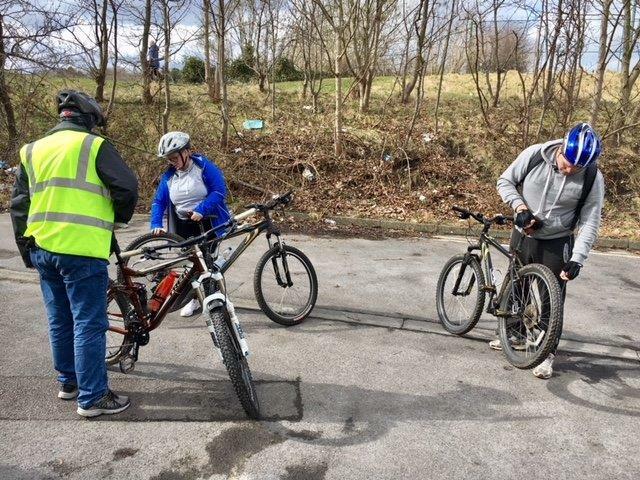 Deb at Durham has trained as a bike volunteer allowing her to supervise these activities. The first event took place this week with a customer volunteer helping to write the risk assessment and marshal the ride. Luckily all the snow had just about melted in Durham and we were blessed with some sun. One customer felt anxious at the start about his fitness levels but was pleasantly surprised at how well he managed, another said he’d like to do it again soon. Following this positive feedback we are looking at incorporating a bike ride once a month into the summer programme. Ice Mile – Foundation Activities Worker, Graeme, reports back from his latest physical challenge – an inspiration to us all! Over the past 6 months I’ve been training for an Ice Mile, a one mile swim in water below 5c (to put this in to some context your cold tap will run out about 7c and the public swimming baths range between 29-31c). The Ice Mile is verified through the International Ice Swimming Association and has members from all over the world, before you complete an Ice Mile athletes need to have a full medical with ECG and complete a qualifying swim. 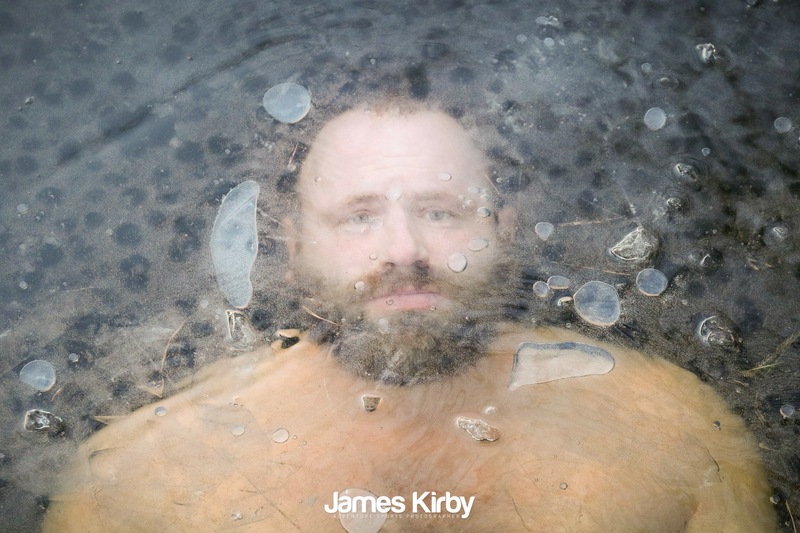 I first attempted my ice mile about 6 weeks ago and was unsuccessful, I was pulled out the water with 400m to go, I then spent the next 90 minutes in recovery; shivering violently, throwing up and on the brink of passing out, I don’t recall much of my time in recovery, but it was an awful experience, my body ached for a week afterwards from all the shivering. I was given another opportunity to swim and this time I felt I was ready. Though nervous from the last experience I was more prepared as I knew more about my body and was ready to push it to the limit. Before setting off I focused listening to Mountains by Biffy Clyro, staring out to the water I raised my arms and shouted “I am the Mountain I am the sea”. The weather conditions were more favourable, air temperature 6c water temperature 4.7c with no wind or rain. Before getting into the water I gave both my children and kiss and a cuddle and spent the next 43.30 minutes in the water, focussed on doing my best. My final time was 15 minutes slower than it takes me to do a Mile in a swimming pool. It was tough, probably the most difficult event I’ve ever done. It was more than just physical, at points my body wanted to quit and at times self-doubt crept in, but I was not quitting. My son shouted encouragement from the shore “Go Daddy Go” echoed around the lake this pushed me on just enough to make it to the finish line. Recovery lasted about an hour, shivering and feeling sick and disorientated, swimyourswim the company that I did the ice Mile with, have a brilliant team of volunteers that were on hand to get me dressed and warmed up, providing warm drinks and encouragement. I’m now one of only 260 people in the world who have completed an Ice Mile. I’m really proud of my achievement and hope that I will inspire others to push their own boundaries and reach their true potential. This is such an inspiring story and we are proud of our customers and colleagues every day. Graeme has also entered for an Iron Man later this year. Alex, our HR Manager has the Great North Run to look forward to. Aissa, our Communications Manager is taking on Man VS Mountain this year also! It’s a Foundation frenzy of activity!